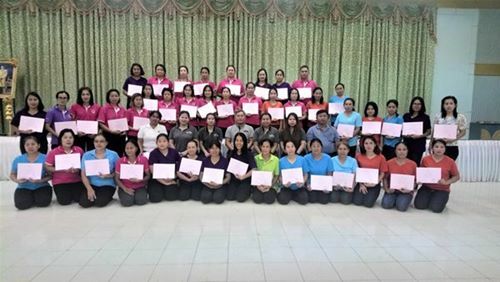 Practical training for childcare teachers and takers is a master development activity that FCYD Foundation have implemented throughout the year. 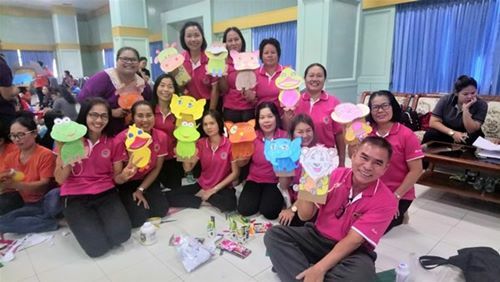 Focus of our interest is to provide training opportunity for the teachers and caretakers to have ‘authentic’ and practical training since they are rarely to be allowed to go outside and attend any training. 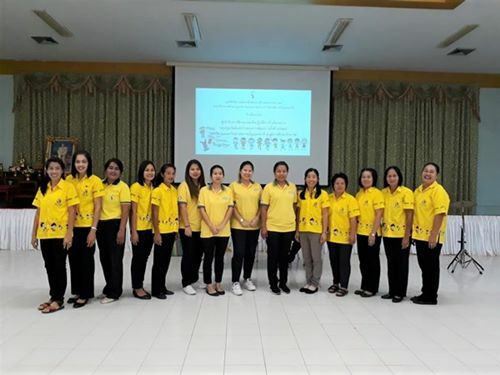 Within a collaboration with the University of Udornthani Ratchaphat, the training is aimed to strengthen up capacity of the teachers to manage not only themselves for more knowledge and skill but also improvement overall environment of the childcare centers in accordance to the national curriculum B.E. 2560. For this time, it is the last training of a year. 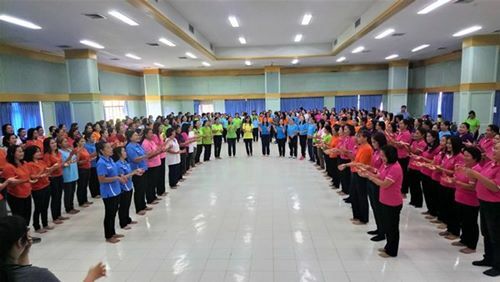 There are about 288 teachers/caretakers of childcare centers from different districts and sub-district in Beung Kan to participate the training. They are from 138 centers which it is estimated for the children as ultimate beneficiaries about 5,811 children. 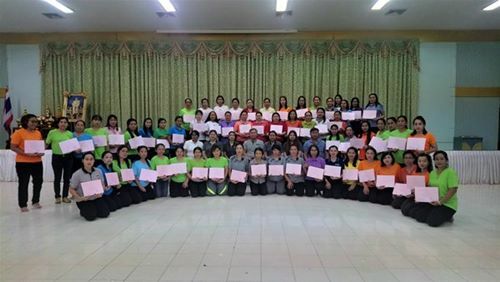 Besides the training content sharing session, good opportunity for all of them to meet each other is really meaningful to give them back strong power and encouragement to continue their duties for the children. Budget of use is benefit from funding activities that all good heart people shared and helped the supports to us. Thank you for all of your supports to help the children together.